Today’s first impressions brings us the Retrakt pen from Karas Kustoms. Straight out of the box, this pen is a sight to behold. The version shown here is in the tumbled raw aluminum finish, which at 1.0 ounces, feels like a feather compared to how it looks. The pen comes in a nice folding box suitable for gifting, complete with an instruction pamphlet, sticker, and some spare parts (springs and tubing for custom spacers). Also included with the pen is a new Pilot G2 refill already installed, all ready to go. If you have ever used a Pilot G2, then you already will be familiar with how the pen cartridge writes. The Retrakt body is thicker than the Pilot G2 pen, but still feels comfortable in the hand. The tumbled raw aluminum finish likely gives a little more grip compared to a smooth anodized finish. Every detail on the Retrakt, right down to the pocket clip, threading, and knurling is well-designed and sturdy. The pen itself just begs you to pick it up and write with it. While it’s still too early to give a detailed long-term review, the Retrakt definitely feels (and looks) like a winner, and has already earned a spot in the EDC bag. The Retrakt is still going strong! This has quickly become one of my favorite pens, and while I was a little worried about the size of the body at first, it’s really quite comfortable when in use. As mentioned above, it’s been carried in the EDC bag daily, and despite all of that it looks and functions like new. My only problem? 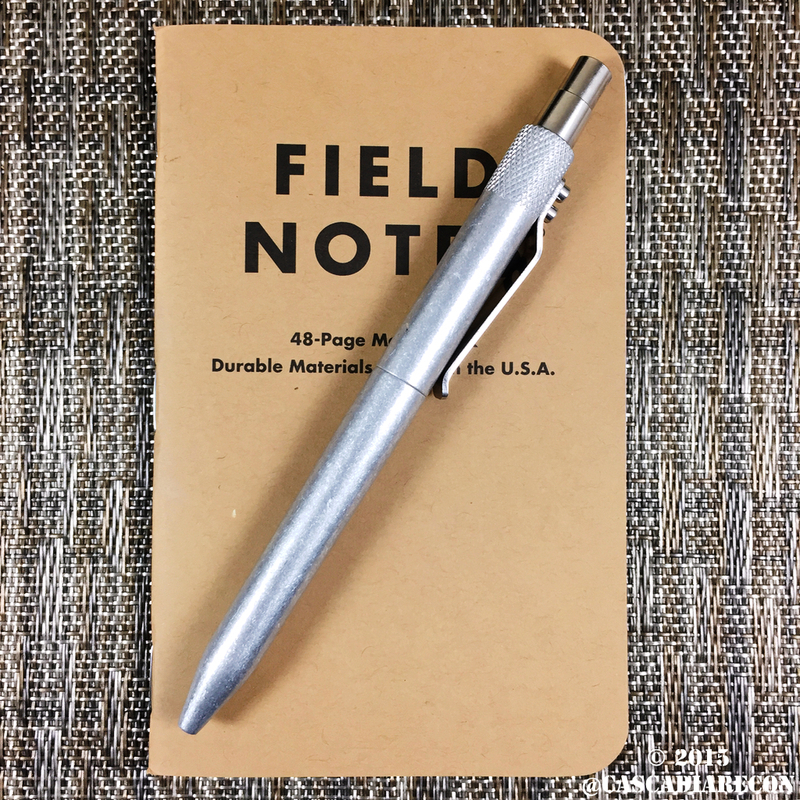 Now I’m eyeballing the Karas Kustoms “EDK” pen for pocket carry, too!